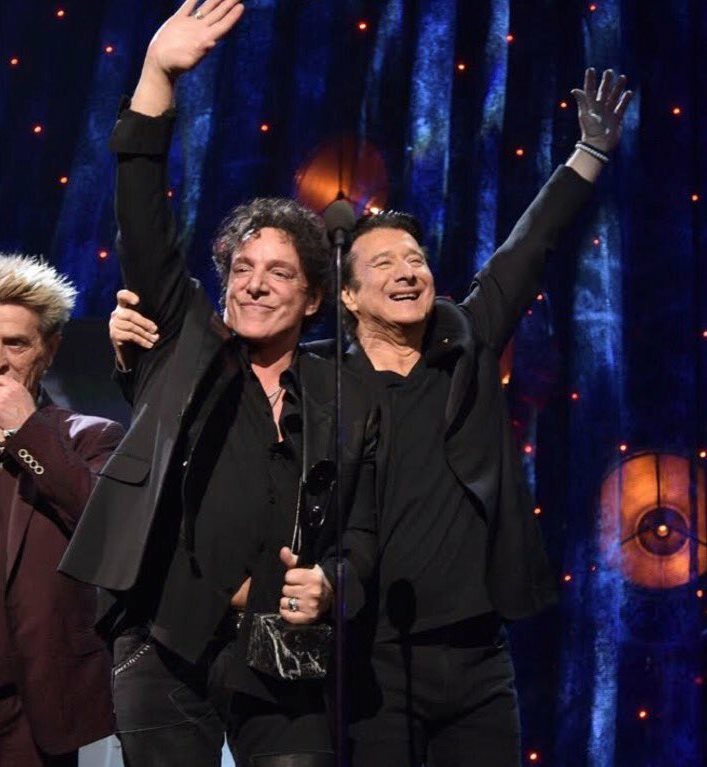 Neal Schon has extended an "open invitation" to his former Journey bandmate Steve Perry to join him at the launch of his upcoming "Journey Through Time" tour next month. Schon and his Journey and Santana bandmate Gregg Rolie will perform with a lineup that includes former Journey member Deen Castronovo on vocals and drums, Marco Mendoza (Thin Lizzy, Whitesnake) on bass and vocals, multi-instrumentalist Marti Frederiksen and Chris Collins on guitar and keys. The band will play a warm-up show at the Jackson Rancheria Casino in Jackson, CA on February 22 before the trek’s official opening night at the Fox Theater in Oakland, CA on February 23. "Here's an open invitation to Steve Perry to come out on ether the 22nd or 23rd,” tweeted Schon. “Would love to see you, Steve." After scoring huge international success with Journey through the late 1970s and mid-1980s, Perry left the group in 1998; the singer made his first public appearance with the band in years during their induction into the 2017 Rock And Roll Hall Of Fame but chose to not perform at the event. Perry resurfaced last year with his first release in a quarter-century, “Traces”, as fans continued to speculate if a reunion with Journey might happen. On hiatus throughout 2019, Journey enjoyed record success last year, as their co-headlining tour of North America with Def Leppard saw the bands perform for more than 1 million fans on the continent while earning box office revenue of $97.1 million.